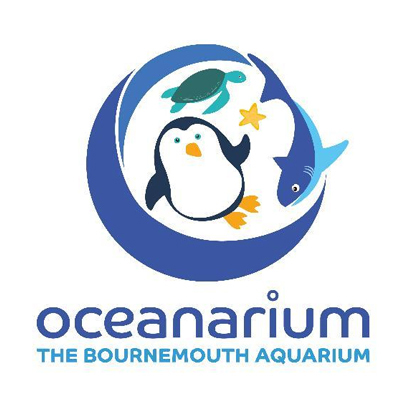 Situated on Bournemouth seafront, the Oceanarium offers an amazing underwater adventure. Home to hundreds of awesome creatures; come face to face with stunning sharks, curious green sea turtles, graceful stingrays, colourful clownfish and the very cute, Oriental small clawed otter family. Discover more about the spectacular aquatic world with nine naturally themed areas and experience fantastic interactive displays including the world’s first virtual Interactive Dive Cage! Bournemouth Oceanarium supported a ranger at REGUA through the BIAZA Keepers of the Wild project. It has also donated to the Action Fund and to BIAZA Buy an Acre in Mexico. As an active member of BIAZA, the Oceanarium wanted to participate in and support a valuable and effective conservation campaign. With an area of displays dedicated to the Amazon region of the Brazilian Rainforest the Oceanarium wanted to highlight to visitors the problems that the diverse and spectacular creatures in this area are faced with. To raise funds and awareness, the Oceanarium offers visitors the opportunity to help feed its two giant green sea turtles, ‘Friday and Crusoe’. Small pots of food are available for a £2 donation during each daily feeding presentation at weekends and school holidays, allowing visitors to be more ‘interactive’ with the creatures while learning about where and what their donation will support from the enthusiastic talks and displays team. This is how they have raised their donations for World Land Trust projects.